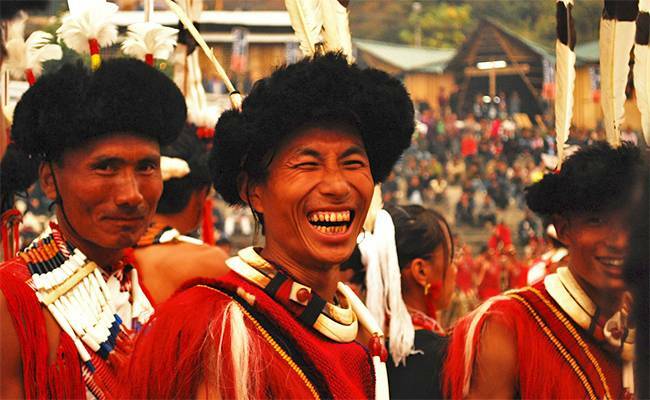 Nagaland, the state of the ancient tribes never seemed so alive to the world until the Hornbill Festival came into being. The past and the present never came together like it does at this grand fiesta. A display and celebration of the beautiful Naga way of life, this festival is a bedlam of colours where every tribe holds up its culture for the entire world to see and appreciate. 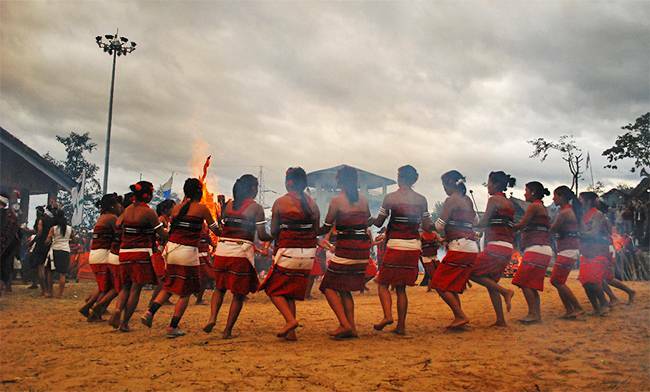 When & Where does Hornbill Festival celebrated? The Hornbill Festival 2019 is scheduled in the first week of December, that is, from December 1st to 10th. The schedule is designed to evenly distribute fascinating programs throughout the week, which means that there isn’t a single boring day here. 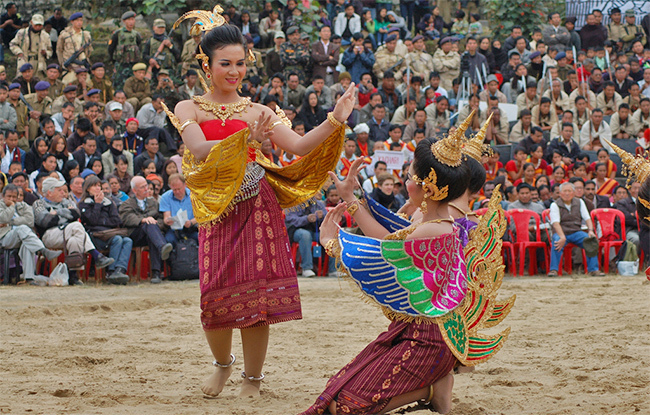 The festival is organized at the Kisama Heritage Village which is located at a distance of 10 Km from the state capital, Kohima. There is an entry ticket to the festival which is nominally priced between INR 20-50. Camera charges can range between INR 50-100 depending upon type of camera you are carrying. Tickets can be purchased at the entry gate itself and you do not need to book in advance. Hornbill Festival is not only Nagaland’s grandest, most colurful and sparkling carnival but in the whole of north east region of India. It has something or the other in it for every human being. Travellers don’t need an excuse to soak in new experiences but Hornbill is something you just cannot help falling in love with no matter how inexperienced a traveller you are. Let’s see what all the festival has to offer to the different kinds of people we come across everyday. You could simply laze around and drink local rice beer to your heart’s content. There is a War Memorial Museum at the venue that re-paints the past showing the hardships and heroism exhibited on the battle-front. The relics presented bring to life the fierce battle of Kohima. You could see things ranging from house-guns to uniforms that were used in this battle during the Second World War. You’ll love it here if you want to soak up the times bygone. Remember: You’ll have to buy a separate ticket to enter the War Memorial museum. At the festival there is a tiny mall or a flea market of sort constructed in the form a gorgeous Bamboo Pavilion just so that you could shop to your heart’s content. You could buy souvenirs for your friends or for yourself just so that the piece is a gentle reminder of your joys at the ‘festival of festivals’. Colourful Naga tribal art is in a class of its own. It is original and very creative. They mostly sell traditional hand-crafted products at the pavilion. Wooden decors to ethnic jewelry, the people has much to offer. Feel free to lose yourself here. Remember: Do haggle a bit when you intend to make a purchase. Oh, the joys of getting a book from the author himself!! You may actually end up meeting regional authors at the pavilions. Releasing books at the fiesta is pretty much in vogue. Writers like Temsula Ao and Easterine Kire have had book launches here. It is also here that you’ll get to meet writers in their own pavilions. If you are lucky enough you can get autographed books at their stalls. Lately it has become customary to release books at the festival. This festival is an excellent platform for a complete experience in cultural exchange. Remember: Do get your copy autographed by the author in question. You may not be this lucky all the time. The Anthropologists, Amateur & Pro! 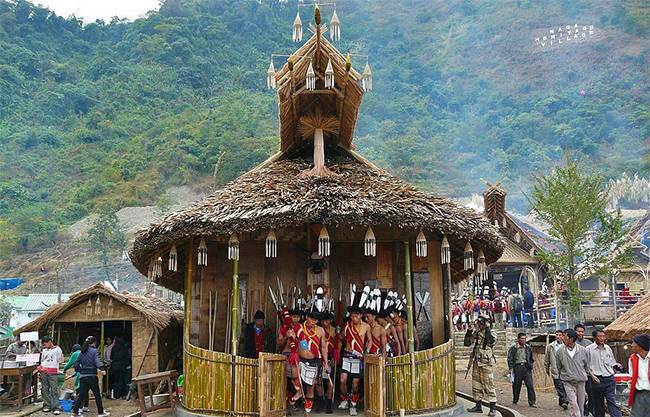 What draws in visitors the most to this unique festival of Nagaland is the remarkable recreation of traditional tribal life here. The Hornbill festival is a perfect event and opportunity to get a glimpse into the culture and heritage of the Naga people. The morungs are designed especially to compliment each participating tribal group which sums upto 16 in all. There is a restaurant at every morung that serves delicacies typical to that tribe. Haven’t we all contemplated on the unique food habits of the Nagas at least once? Their food habits are a testimony to their tribal way of life and the loss of forests is probably what made the people turn to smaller animals for food. The Naga food habit only shows their sheer adaptability to every circumstance. Isn’t that survival? If you are bold enough to experiment with food and if you are ready to shed all those taboos conditionally ingrained in your mind, then this is the best place to take the plunge. Do you want to see how fried silk worms larvae might taste or do you want to test a bit of freshly cooked frog on your palate or you may also have a little bit of dried squirrel soup. What you want to eat and want to experience entirely depends on you. You are most welcome to taste pork, beef and chicken too but the fact remains that your choices are endless and if you are in a mood to experiment then nothing like it. Remember: Do taste the rice-beer and let us know if you felt butterflies inside your tummy. There are so many who love to be a part of whatever comes their way. These are the ones who were born to participate and pump life into the various activities and celebrations held across the globe. This festival has ample scope for these enthusiastic souls. You could see some awesome indigenous wrestling matches held here and the best part in that you can even participate in the pork and chilli eating contests here. Remember: You are most welcome to derive your entire share of fun from watching these activities but do remember to have a fire extinguisher nearby should you decide to participate in the Chilli eating competition! The grand spectacle at Hornbill Festival​​​​​​​ is the various tribes performing their traditional dance to their ancient songs and tunes should never be missed. There is a time allotted to each tribe and various other tribes from the other states also take perform in this fashion. The festival thus becomes a grand platform for showcasing the fabulous diversity and the tremendous unity among all the north-eastern tribes. The performances are held at the open air theater. Lastly, The Woodstock of North-East India, the fantastic Hornbill National Rock Concert. You’ll get to see some of the snazziest performances here. Rock band participate in this event from all over the nation. There is an big prize money awarded to the winning band. This part of the festival is truly spectacular. Remember: Enjoy till you cannot go on anymore because this will remain with you forever. The Restricted Area Permits are no longer a necessity for foreigner who want to participate in this festival. However, Indians still need an ‘Inner Line Permit’ to visit the state. You can easily get a permit from Guwahati, Kolkata, New Delhi, Dimapur, Kohima or Shillong or you could simply download the application form Nagaland Inner Line Permit (ILP). The international tourist however still have to register themselves at the Foreigner Registration Office once they enter Nagaland. These should be booked well in advance if you want a place to stay during the festival. There are several budget hotels at Kohima like Razhu Pru, Hotel Japfu, Grandeur Hotel, Aradura Inn or the Government Tourism Hotel. Home-stays can also be arranged for. Accommodation at Kisama is too limited and hardly ever obtainable. It is best to obtain a brochure with the schedule of the events held at the festival from the Information Centre beside the venue. Festival starts 1 December and ends on 10 December. To reach the venue, you could take a flight from Kolkata or Delhi to Dimapur, which is the nearest airport and rail-head. 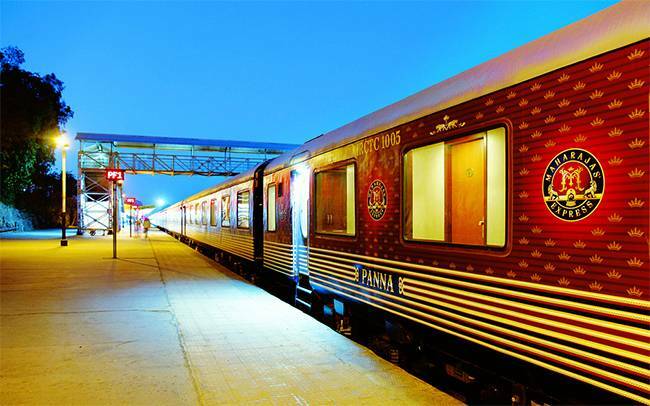 This city can also be reached via train from Delhi, Bangalore, Kolkata or Chennai. From Dimapur, going to Kohima is very simple. It is either a 2 hour drive or you may reach the capital in half an hour by hiring a helicopter. Kisama is just 10 Kms away from Kohima. You can also plan the tour from Guwahati airport in Assam or Bagdogra Airport near Darjeeling and then travel by road. You may hire a private cab to your final destination. This festival is simply a must visit if you want to create a memory benchmark for yourself so that at the end of the day the joy you once had keeps you alive even if nothing else seems to do so. Author is an English grad pursuing her masters at present. She is absolutely crazy about exploring places and loves to read novels when she isn’t writing for Trodly. She hopes to do at least one-fifth of what her bucket list contains but we wish she does everything in it.